A primer should be a part of everyone’s makeup regimen, especially those who have an oily skin type. If you have an oily skin, but do not use primers, then you need to reconsider; it’s a rookie mistake that will cause great trouble to your skin in the coming years. In today’s post, we will tell you everything about the best face primer for oily skin, and give you tips on how to choose one for yourself. Primers are available in different forms; as powders, gels and also creams. 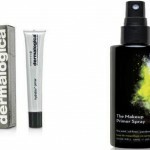 You can also find primers that can be sprayed on the face. Primers should be applied after the moisturizer, and before the foundation. Yes, even people with oily skin type need moisturizers. You need to be very selective when it comes to picking moisturizers for your oily skin. Though you cannot choose any moisturizer off the rack, you even cannot totally ditch moisturizing. 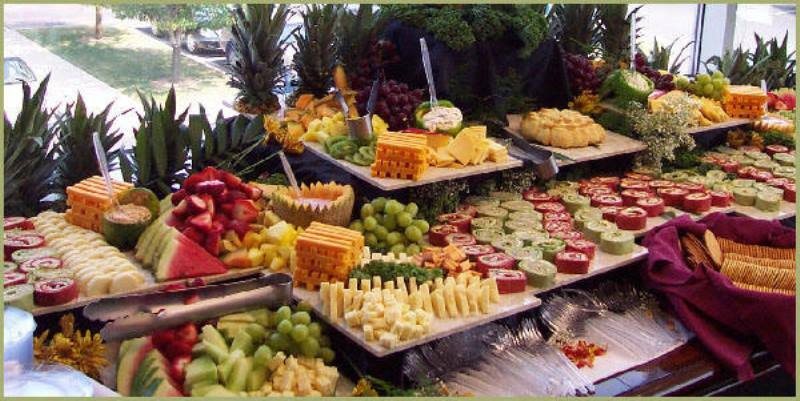 Though your skin is greasy, it needs lubrication. You only need to steer clear of some moisturizers, especially the ones that further clog up the pores. Oil-free moisturizers will help you achieve the acid-alkaline balance of your skin. While applying the moisturizer, vary the amount you apply on parts that are oiler than others. A lot of moisturizers are particularly tailored for oily skin, and therefore, go for an oil-free non-comedogenic moisturizing cream. Clinique is a product-line that caters to all skin types. So you can try your hands on that. Stay away moisturizers that have lanolin or petrolatum or even isopropyl myristate. After applying the moisturizer, take a cherry-sized amount of the primer and apply it on your face. The primer preps your skin, which means it makes the rest of your makeup last longer. 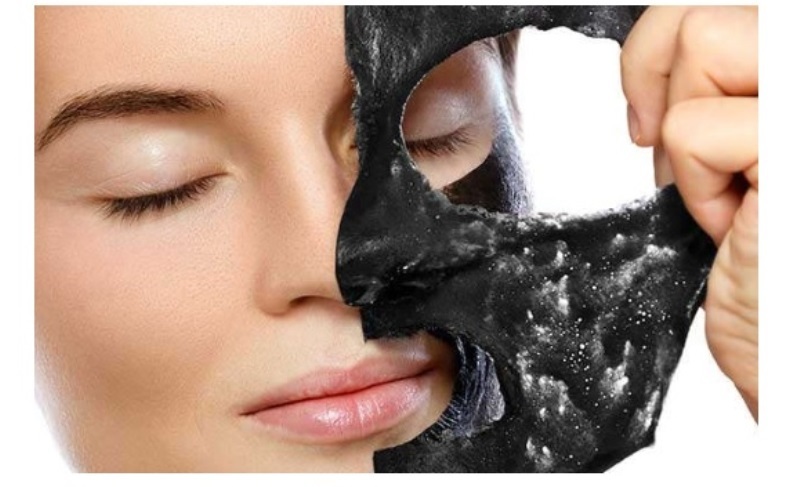 It also offers a separation between your skin and the makeup. So you know how important the formula is. The problem with applying makeup on oily skin is that it bleeds and does not last long. The excess oil produced by the sebaceous glands make it next to impossible to maintain that polished look for a long time. Well, the impossible is made possible by primers. You could go for silicone-based primers, but choosing a silicone-based primer has its own set of pros and cons. Though people usually go for these primers because they even out the skin, making it look flawless, it is a huge no-no for people with acne-prone skin. The dimethicone in these formulas react with the skin and cause an allergy. 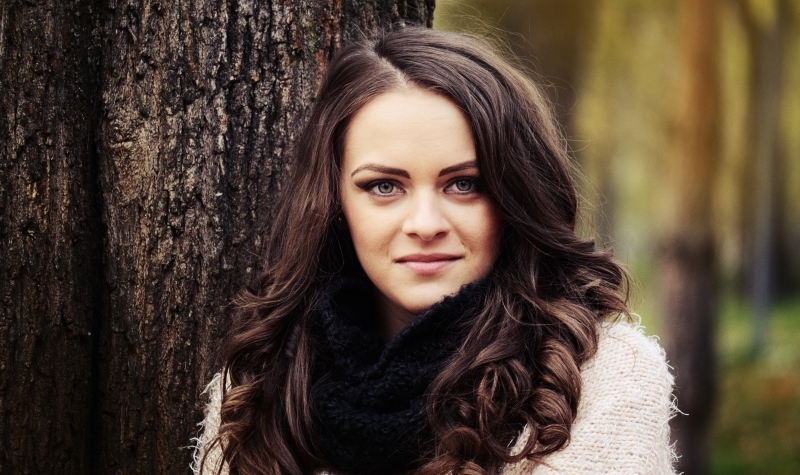 For people who are using a silicone-based primer for the first time, even if you do not have an acne-prone or sensitive skin, it is necessary that you do a patch test first. Apply the primer behind your ear lobes, and see if your skin reacts. If you have not bought a primer yet, and are planning to invest in one, I would suggest that you stay away from silicone-based primers to avoid risks. While most primers help hide the pores and fine lines on the skin, there are some primers which also correct skin discolorations. These primers will help you balance out the redness and cover the dark circles under your eyes. People with oily skin should go for products that leave a matte finish. We suggest that you go for a patch test before investing in any of the products that we are about to suggest, because every one’s skin is different, and you never know what you may be allergic to. It is always good to stay safe. Also, when you do the patch test, see if the formula dries quickly and leaves a smooth, glowy finish that does not give out an artificial luster. Illuminating primers are an absolute no-no for people with oily skin as they only contribute to worsening your skin condition. How to make the makeup last longer? Like I just shared with you, the main struggle when it comes to applying makeup on oily skin is that it does not stay. Now, let me share some tips with you that will help you control the excess oil production and make your makeup last longer. First things first, before applying makeup, you need a clean, fresh face that serves as a canvas. For this, you need to wash your face with a cleanser formulated for oily skin. This cleanser will get rid of the oily leftovers and also the dirt clogged in the skin pores. Next, you need to use a toner which is formulated to control the release of oil from the overly-charged sebaceous glands. This toner will help you lower the skin’s luster to make it look for natural and fresh. Choosing your makeup products well is crucial. Wearing a formula that is not created for your skin type, can wreak havoc on your skin. For example, you need to avoid moisturizers that have lots of oils in it. Go for gel formulas or formulas that water-based while investing in your makeup. Try not to put creams on your eyelids. This is something you need to be careful about. Wearing a moisturizer before applying eyeshadow can make it bleed, which looks really unattractive. Blotting becomes a necessary makeup ritual for people with oily skin. Applying the pressing powder to blot will help absorb the excess oil. To not allow the makeup look clumpy, use a blotting paper. Apart from using a blotting paper, applying primers is also essential for oily skin type. Go through the last section of this post, and buy a suitable primer for you immediately. When choosing your formulas, you need to focus on how long-wearing they are. You need to put your money into products that will not break down and bleed. Also, go for waterproof formulas that ensure your makeup does not spread all over the place. This is particularly true in case of eye makeup. People with oily skin type should also invest in a good setting powder. Pressed powders on oily skin render an opaque appearance while loose powders give a sheer look. Though both work well for oily skin, it is better, in my opinion, that you go for pressed powders for the simple reason that they are more convenient to use and not messy. Also, pressed powders are more effective in hiding minor flaws like redness, blemishes, spots as well as uneven skin tone. This is because of the high concentration of pigments in this formula. Also, it works amazingly well for people who sweat a lot and have an extremely oily skin. Also, if you live in an area of tropical climate, then you need a product which will prevent the bleeding of the rest of the makeup; you will need a product that apart from setting the foundation also absorbs extra oil efficiently. It also does not settle into the fine lines around the eyes and the lips, so it won’t highlight what you intend to conceal. 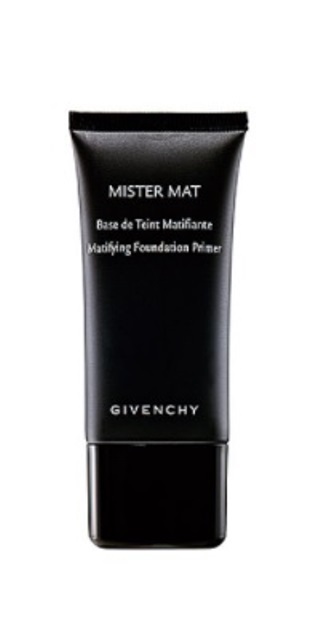 The first on our list is the Givenchy Mister Mat Mattifying Foundation Primer. This is a lifesaver for the oily skin type, that you can wear alone or before applying the foundation and rest of the makeup. It is a lightweight formula that has a soft texture, and hydrates the skin lightly. The ingredients contain plant extracts which control the production of oil by sebaceous glands thus making the rest of your makeup long-wearing. 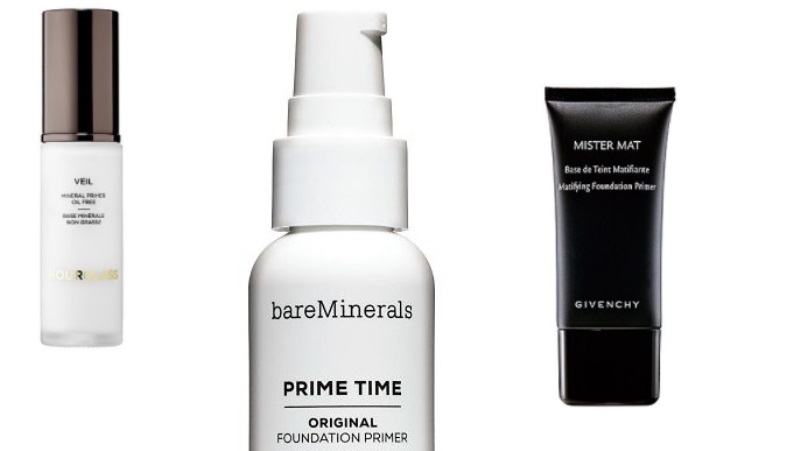 The bareMinerals Prime Time® Foundation Primer will prep your skin for the foundation y creating a smooth silky canvas out of you face. The formula is a long-wearing one that lasts almost through the day. It will absorb the excess oil and hide the enlarged pores effectively. Invest in this formula by Smashbox, and you will never be disappointed. This one is a non-drying formula that hides pores effectively. It also locks the makeup for long hours. The primer will absorb the extra moisture from your skin, keeping it luster-free throughout the day. 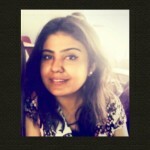 It is also sweat-resistant, which makes it an amazing investment for summers. The last formula on our list is the Hourglass Veil Mineral Primer. It is a mineral-based, water-resistant primer that balances the luster of the skin, leaving a natural-looking glow on your face while absorbing the extra grease. The primer offers a satin-finish, which leaves the makeup looking and feeling fresh throughout the day. It also offers an SPF factor of 15, so yay! 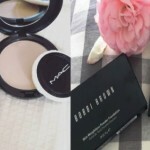 That is all we have on today’s post on the best face primer for oily skin. Was this helpful? Will you be recommending it to others too? If you have makeup queries that you would like to share with us, then please do so in the comment section below. Our experts will get back to ASAP. In today’s post, we will tell you everything about the best face primer for oily skin, and give you tips on how to choose one for yourself.